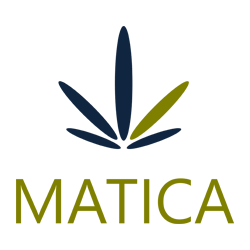 April 18, 2018 – Toronto, Ontario – Matica Enterprises Inc. (MMJ–CSE) (39N – Frankfurt) (MQPXF – OTC PINK) (“Matica” or the “Company”) is pleased to announce that the Company has received the second and final tranche of settlement shares as per the third party settlement agreement with regards to the legal action taken against THC Dispensaries Canada Inc. (“THCD”), Mr. Francis MacMaster, and other related parties. The two tranches, valued at $350,000 each, concludes the settlement for $700,000 as announced on May 23, 2017. The unrelated third party had agreed to purchase all of the outstanding shares of THCD and complete the build out of THCD’s medical marijuana facility (“the facility”) in preparation for a pre-licence inspection by Health Canada under the Access to Cannabis for Medical Purposes Regulation (“ACMPR”). THCD is one of several such facilities that the third party has engaged. THCD has received the cultivation license and Matica has received its final tranche of settlement shares. Matica has an agreement to earn 70% of RoyalMax Biotechnology Canada Inc. (“RoyalMax”). RoyalMax has submitted the Confirmation of Readiness for a License under ACMPR to Health Canada for the production facility in Dorval, including the Photographic-Evidence video to Health Canada to request a cultivation license. For more information on Matica please visit the website at: www.maticaenterprises.com. The Company’s filings are available for review at www.sedar.com and www.thecse.com. Certain information in this press release may constitute forward-looking information. This information is based on current expectations that are subject to significant risks and uncertainties that are difficult to predict. Actual results might differ materially from results suggested in any forward-looking statements. The Corporation assumes no obligation to update the forward-looking statements, or to update the reasons why actual results could differ from those reflected in the forward looking-statements unless and until required by securities laws applicable to the Corporation. Additional information identifying risks and uncertainties is contained in the Corporation’s filings with the Canadian securities regulators, which filings are available at www.sedar.com. © 2019 All Rights Reserved | Website Development & Hosting by We Think Solutions Inc.